We have two mid-week Bible studies here at Our Redeemer. One meets on Monday evenings at 7:00 PM. The second meets on Thursday mornings at 10:00 AM. Below is some information about what they will be covering in the coming months. The Monday evening Bible study has just concluded studying Luther’s Large Catechism. 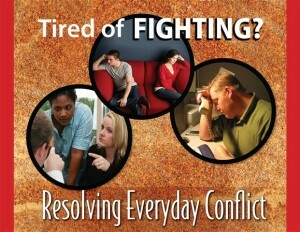 They have selected a video based study to do next titled “Resolving Everyday Conflict.” I have led this in the past and found it to be excellent. It can help in home, in the neighborhood, at work and at church. Because of the potential value beyond the group, it was decided to delay the beginning just a bit so we can get the word out. We also thought that the theme of reconciliation worked very well with the upcoming Lenten Season. So our first lesson will be Monday, February 22. Between then and now we will study various Psalms. 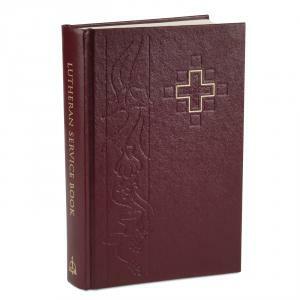 Beginning February 11 the request is for a “sequence of Martin Luther’s hymns.” There are actually twenty-seven hymns composed by Martin Luther in Lutheran Service Book. On the eleventh we will look at “A Mighty Fortress Is Our God” (656/657). I will also provide a list of the other Luther hymns and the class will two or three additional Luther hymns for us to study. Following the Luther hymns, we will pick-up with “Earth and All Stars” (LSB 817). That will be followed by “‘Tis Good Lord to be Here” (LSB 414) and then “What A Friend We Have in Jesus” (LSB 770). After this run the group will decide if they wish to continue with hymns, or move to a new topic.